For long lasting lubrication under the most severe pressure and abrasive conditions. The unique combination of synthetic lubricants and PTFE (polytetrafluorethylene) powder will form a very tough lubricating film on metal surfaces. Reduces and eliminates surface friction and wear. It penetrates in inaccessible areas, repels and protects against water, moisture, salt, alkalis, acids, dirt, dust, sand, etc. 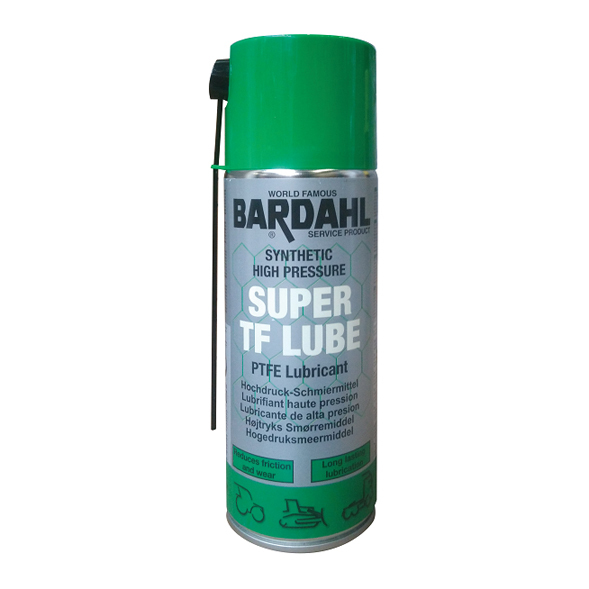 Specially developed for lubrication of parts subject to high pressure, shocks and vibrations. Protects any moving part and prevents squeaks. Working temperature from -50°C to +265°C. Color transparent. Properties: Provides long lasting lubrication. Increases life. Reduces friction. Reduces wear of metal surfaces. Protects against corrosion. Penetrates. Stops squeaking.